2018 Regular Tour Dates are now available. 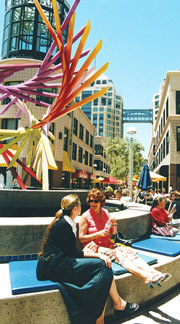 From May to October, enjoy free 90-minute walking tours through Oakland’s downtown districts. Read the release on the 2018 tour season. 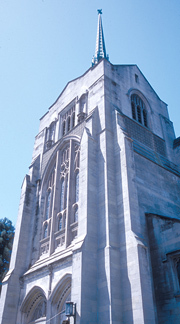 Schedule: Tours are offered Wednesdays and Saturdays at 10:00 a.m. Reservations are recommended but not required. Choose from one of eight tour itineraries. To learn more about a particular tour, review the information below. Following each itinerary description are the dates the tour will be offered. The tour schedule is also available by month here. Private tours are available for a nominal fee and can be customized to meet your group's interests by combining elements from the eight different itineraries. To make a reservation or to request a custom tour, please call (510) 238-3234 or e-mail aallen@oaklandnet.com. 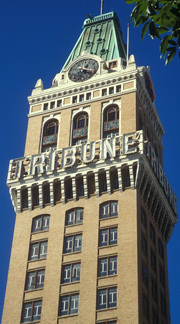 Click here to subscribe to email upates on the Oakland Walking Tours. To learn more about becoming a volunteer guide, scroll to the bottom of this page. Walk through what was once the western terminus of the Transcontinental Railroad! Formerly Oakland’s bustling downtown district in the days of railroads and streetcars, this area’s grand, brick, commercial Victorian buildings, now restored, continue to thrive as offices, galleries and eateries. Visit the historic Washington Inn, G.B. Ratto & Co. International Grocers, Swans Marketplace and the “Friends of the Library” bookstore. Tour begins at 10:00 a.m. in front of G.B. Ratto & Co., 821 Washington Street. Parking is available at the Oakland Convention Center, enter at 11th and Clay streets. To make a reservation for Tour 1, please call 510) 238-3234 or e-mail aallen@oaklandnet.com. Please include the specific tour and date you are requesting in your message. To make a reservation for Tour 2, please call (510) 238-3234 or e-mail aallen@oaklandnet.com. Please include the specific tour and date you are requesting in your message. A walking tour of the Uptown District with an emphasis on Art Deco! 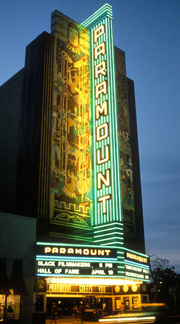 Tour includes the Paramount Theatre, Historic Sweet’s Ballroom, the Fox Theater and the Kaiser Center roof garden with views of Lake Merritt. Tour begins at 10:00 a.m. in front of the Paramount Theatre, 2025 Broadway. Parking is available at Telegraph Plaza Garage, Telegraph Avenue between 21st and 22nd streets. To make a reservation for Tour 3, please call (510) 238-3234 or e-mail aallen@oaklandnet.com. Please include the specific tour and date you are requesting in your message. 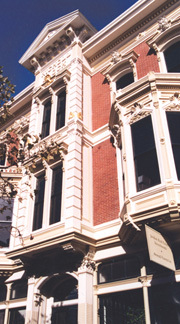 A walking tour of a Victorian-era district adjacent to modern office towers. Sites include the historic First Unitarian Church, the Pardee Home Museum, and more than a dozen elegantly restored, 19th century houses -- now serving as nonprofit offices, meeting rooms, and conference spaces -- in a beautiful garden setting. Tour begins at 10:00 a.m. in front of Preservation Park, 13th Street and Martin Luther King, Jr. Way. Parking is available on Wednesdays at the City Center West Garage. Enter on Jefferson Street between 14th and 12th streets. To make a reservation for Tour 4, please call (510) 238-3234 or e-mail aallen@oaklandnet.com. Please include the specific tour and date you are requesting in your message. 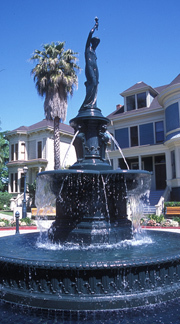 Tour begins at 10:00 a.m. in front of the Pacific Renaissance Plaza Fountain, 9th Street between Franklin and Webster streets. To make a reservation for Tour 5, please call (510) 238-3234 or e-mail aallen@oaklandnet.com. Please include which tour and date you are requesting in your message. 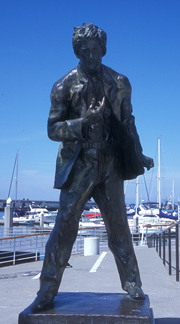 Tour begins at 10:00 a.m. at the Jack London Square entry arch, foot of Broadway. To make a reservation for Tour 6, please call (510) 238-3234 or e-mail aallen@oaklandnet.com. Please include the specific tour and date you are requesting in your message. Tour begins at 10:00 a.m. in front of the First Presbyterian Church, Broadway at 27th Street. 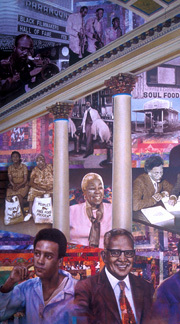 Stroll through downtown and discover the places where Oakland African American leaders have made their marks. Learn how Lionel Wilson, Delilah Beasley, Robert Maynard, the Dellums family, Josephine Baker, and others changed the Bay Area and California. Tour begins at 10:00 a.m. in front of the African American Museum and Library at Oakland, 14th Street at Martin Luther King, Jr. Way. Parking is available at the City Center West Garage. Enter at Jefferson Street between 12th and 14th streets. To make a reservation for Tour 8, please call (510) 238-3234 or e-mail aallen@oaklandnet.com. Please include the specific tour and date you are requesting in your message. School field trips -- our "Know Your City" tours -- are offered January through June. Chaperons must be provided by the school at a 1 to 5 adult-to-child ratio. To learn more about School Field Trips, please call (510) 238-3234 or e-mail aallen@oaklandnet.com. Do you have an interest in Oakland history and architecture? Do you have an outgoing personality? 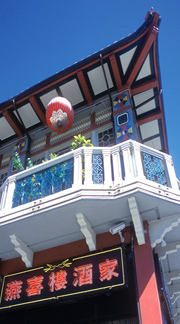 Consider becoming a volunteer tour guide for the Oakland Walking Tours program. The greatest need for volunteer guides is from May to October. Volunteers go through an extensive training that includes participating in each of the eight distinct tours. We ask that volunteers are able to make a minimum 12-month commitment. To learn more about becoming a volunteer guide, please call (510) 238-3234 or e-mail aallen@oaklandnet.com.